Cars, trucks, and a weird sense of humor. 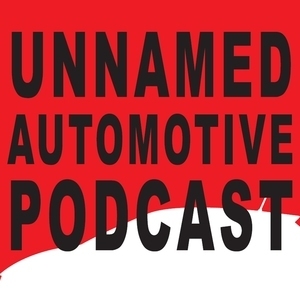 We found 2 episodes of Unnamed Automotive Podcast with the tag “denali”. Sami is back a bit late from Pebble Beach, but that's OK because he drove the 2018 Acura NSX and the 2018 Lamborghini Huracan Performante Spyder. Meanwhile, Benjamin went to Newfoundland to see if GMC got the 2019 Sierra Denali luxury truck formula right with its latest re-design. Also, the pair dive deep into Volkswagen's Mexican hail cannons. Benjamin and Sami both drive SRT's latest SUV monster - the 2018 Dodge Durango SRT - and Sami compares it to the less intriguing 'performance' edition of a direct competitor, the 2018 Chevrolet Tahoe RST. Also in this episode: the 2018 GMC Sierra Denali, Benjamin's unusual Bill Goldberg encounter, and pouring out a glass of motor oil for the retirement of the Honda Asimo robot.